Teeth Whitening has been cultural compulsion going back to the Egyptians, who mixed wine vinegar with crushed pumice to polish their smiles. Thankfully, today's treatments are not so unsavory. Bleaching and scrubbing our pearly whites (so they become pearlier and whiter), has become an $11 billion-plus national obsession. Some of these off-the-shelf products and even dental office procedures have downsides. Before you beautify those canines, here are a few things to consider. Like everything, moderation is key. People have been known to become so obsessed with their whitening results, that they use the kits far too often. 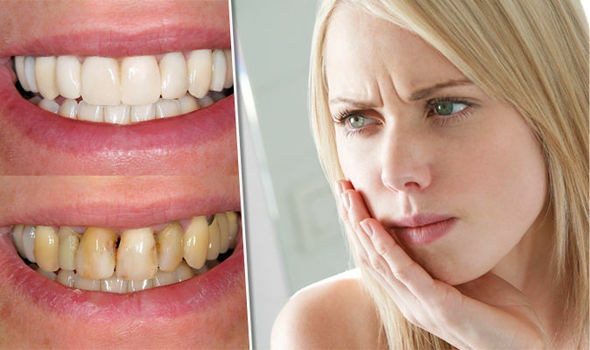 The condition even has a name: bleachorexia, where people bleach over and over, sometimes as often as weekly, in a quest for ever-whiter teeth. (Not so different than tanorexia, though on the other end of the color spectrum.) Such intense and repeated bleaching can wear down enamel to dangerous levels. Not only can this make teeth more sensitive, but it can expose more of the dentin, which could, ironically, make the teeth appear yellower. As a rule, don't use the whitening treatments more often than recommended by your dentist or the instructions on the box. For the non-obsessives among us, bleaching and these other treatments have very few lasting side-effects. Studies since the late 1980’s have shown that the short-term effects are mild and short-lived: just the occasional sensitive teeth or irritated gums following treatment. No long-term effects have been found in studies yet, but according to a review paper from 2009, more research is needed to be certain. Especially since most of the studies have been paid for by the companies that produce the whiteners. One problem that arises is when people who use over-the-counter treatments don’t first consult a dentist (who will advise you on the health of your teeth and gums and suggest the proper regime), or they don't report when something goes wrong. That also means that side effects are probably under reported in the dental literature. One other thing to keep in mind. These are cosmetic procedures, so don't confuse white teeth with healthy teeth. You still need to brush and floss (two to three times a day) if you want your teeth to last you a lifetime. Whatever you do, don’t get your teeth whitened at a mall kiosk, in a spa, or on a cruise ship. Yes, these services exist and seem quite handy. But a number of states have actually passed laws to keep whitening at the dentist's office. Don't leave something as important as oral health in the hands of a mall worker.